- Juma Ikangaa, winner of the 1990 New York City Marathon. "Ladies and gentlemen, here is the result of event No 9, the one mile. First, No 41, R. G. Bannister, of the Amateur Athletic Association and formerly of Exeter and Merton Colleges, with a time that is a new meeting and track record, and which, subject to ratification, will be a new English native, British national, British all comers, European, British Empire and world record. The time is three . . ."
- Norris McWhirter making the most famous track announcement of all time on May 6th 1954, as Bannister ran 3:59,4 for the mile. Being active and outside is very important to me. I love running and cycling, and compete in both regularly. I like having a goal to work towards, and I think it is interesting to see what results you can achieve with structured training. I started running in 1993 and after a couple of years I joined the local track club, HG Atletik, and started to competing in races. My discipline is long distance running, i.e. distances from 5000m to the marathon. I was a member of Aarhus 1900's middle and long distance group from 1999 to 2004 and ESV Muenster in Germany from 2004 to 2006. In 2009 I joined the The Genesee Valley Harriers in Rochester, NY. My best race to date was the 2008 Boston Marathon, in which I broke 2:50h. You will find a list of my PRs here. I started cycling in 2003 as a substitute for running while I was injured, but soon discovered that I really liked it. 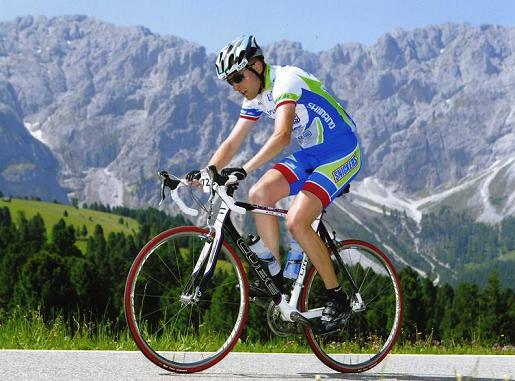 While I lived in Germany (2004-2006), I was a member of the amateur cycling team Team Agapedia. We participated mostly in local races, but in 2006 we were fortunate to take part in the Jeantex Tour Transalp, which is an 830km, seven stage race across the Alps. I wrote a blog during the race which you find here. In 2009 I started to participate in duathlons and really enjoy it. My Racing Schedule and Results.